A coalition of local universities and the county of San Diego was awarded a $2.5 million federal grant to train the next generation of geriatric health workers in the region, San Diego State University announced Thursday. 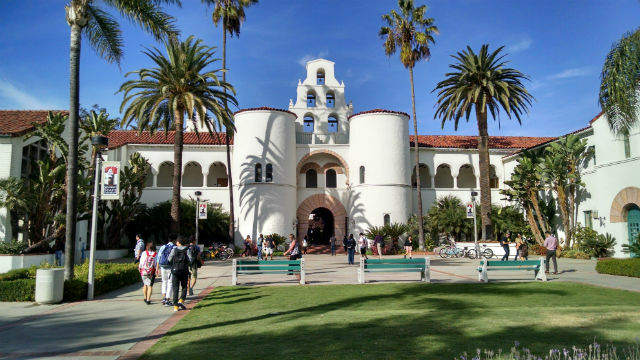 The funding will go to SDSU’s schools of nursing, social work and graduate public health, UC San Diego’s Division of Geriatrics, the county Health and Human Services Agency and county Aging and Independence Services. Together, they’ll create the San Diego/Imperial Geriatric Education Center, which will have a focus on Alzheimer’s and related dementia. The Alzheimer’s Association San Diego/Imperial Chapter, Glenner Memory Care Centers, San Diego County Medical Society Foundation, and Southern Caregiver Resource Centers will also be part of the project. — developing and conducting a public education campaign on memory loss and Alzheimer’s. The initiative will work in conjunction with the county of San Diego’s Alzheimer’s Project, which is designed to bring together local experts on the disease.